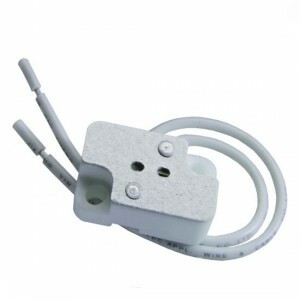 Halogen Bi pin connector, normally named halogen light socket, are applied to safe bulbs in ceiling lighting fitting and to provide a secure, trusted connection towards the electrical energy supply. 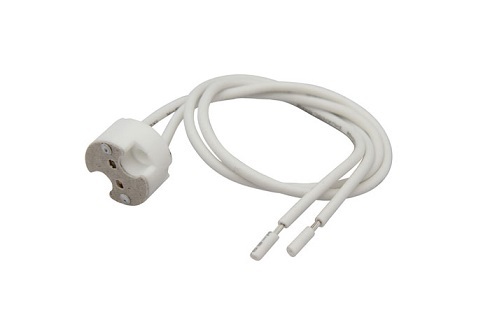 Sporting two 10-inch lead wires, the MR16 G5.3 mini bi-pin socket 12V CERAMIC BASE is rated for a maximum wattage of 750 watts and a maximum voltage of 250 volts.The socket has a ceramic body and a mica cover, allowing for more heat resistance. 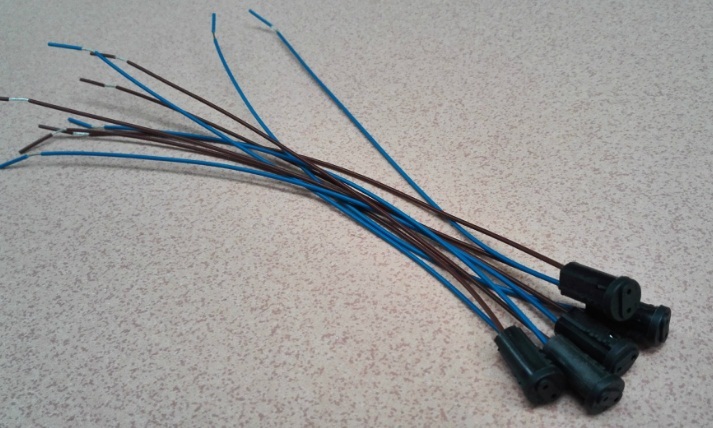 Use Bi pin connector to fit any MR16 or MR11 bulb into a hardwire system. 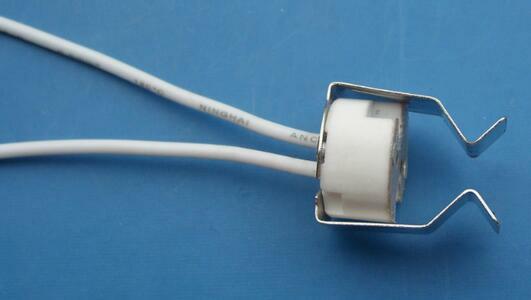 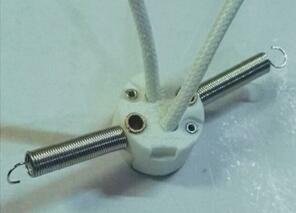 It allows you to plug in your LED bulbs and attach it to normal lighting wires. 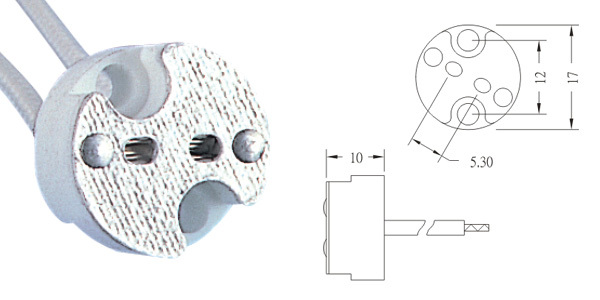 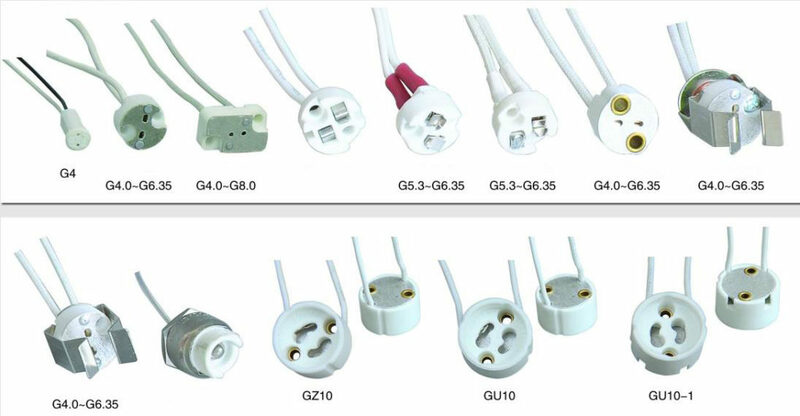 This Bi pin connector are made from porcelain and work with MR16 lamps along with many other bi-pin lamps, including G4, G6.35, GY6.35, GX5.3 MR16, GZ4 ,MR11 porcelain lampholders. Package Including:20pcs x MR16 MR11 Socket Base plug.